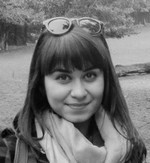 A Bulgarian Journalism student currently residing in Wroclaw, Maria has forever had an obsession with books, poetry, the Beatles and travel. She has her sights set on a radio gig but would be equally happy running her own bakery. A keen explorer, Maria will be seeking out uncharted spots in Wroclaw and speaking to the city's many interesting characters.